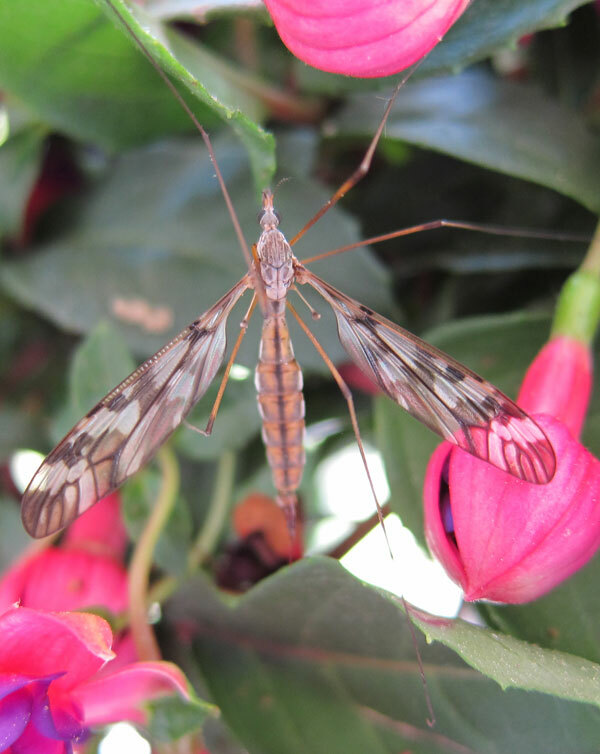 Crane Flys are a type of fly known as Tipulomorpha. 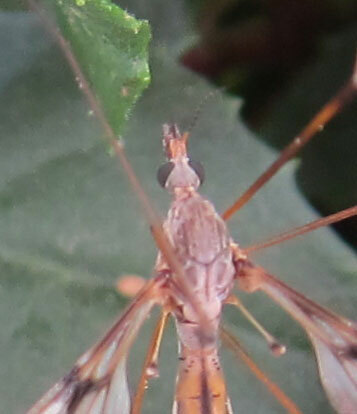 They don't bite at all and are completely harmless. 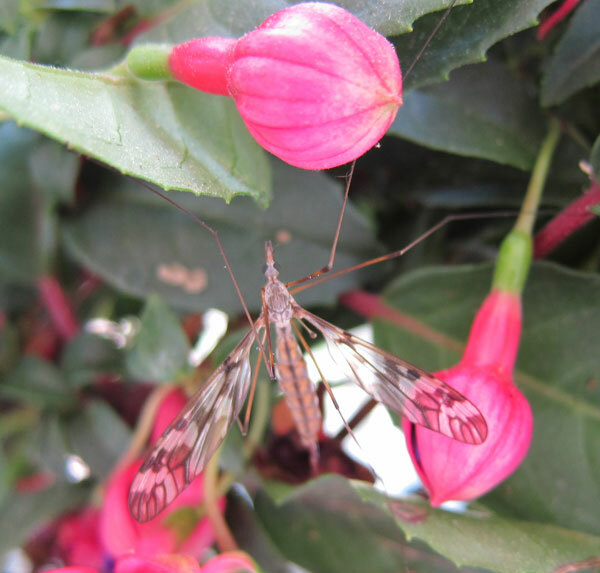 They drink nectar and they have short lives as adults. 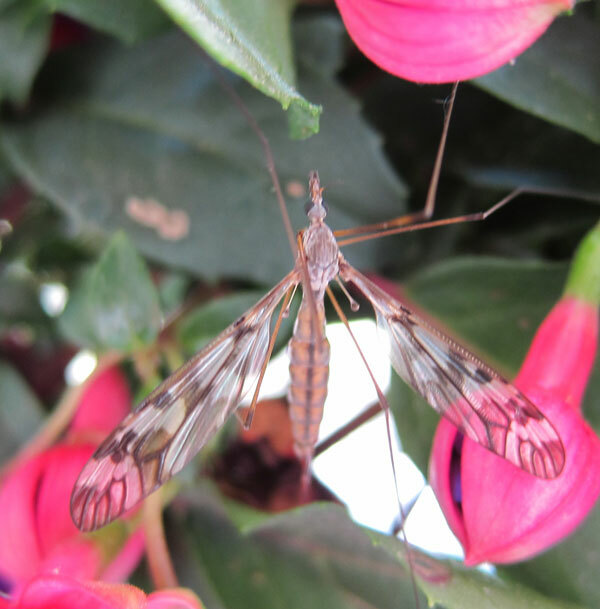 They have delicate wings almost like a dragonfly's, and long, spindly legs. 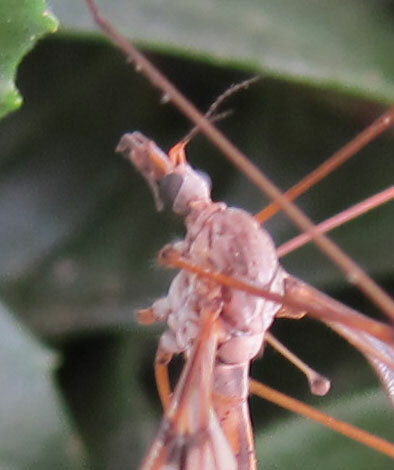 Interestingly in England they call these ephemeral fliers "daddy long legs" - while in the US the name "daddy long legs" means a type of long legged spider / harvestman. 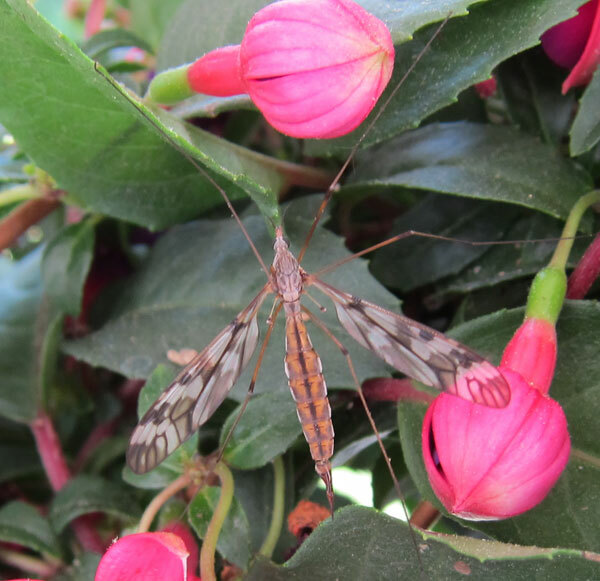 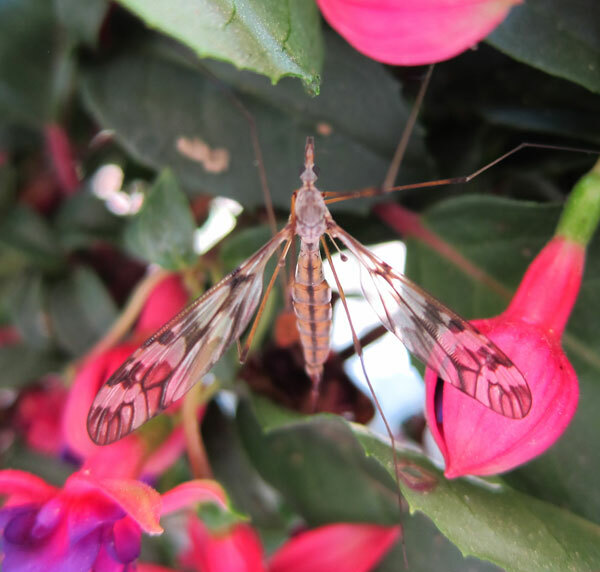 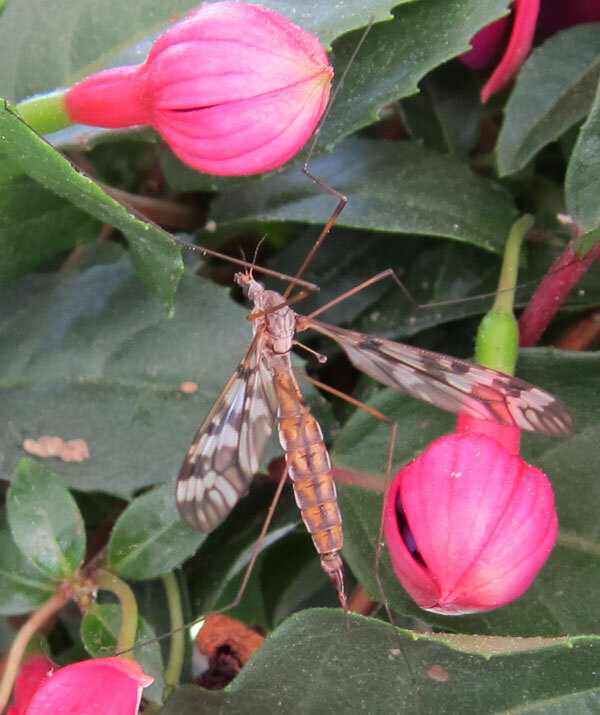 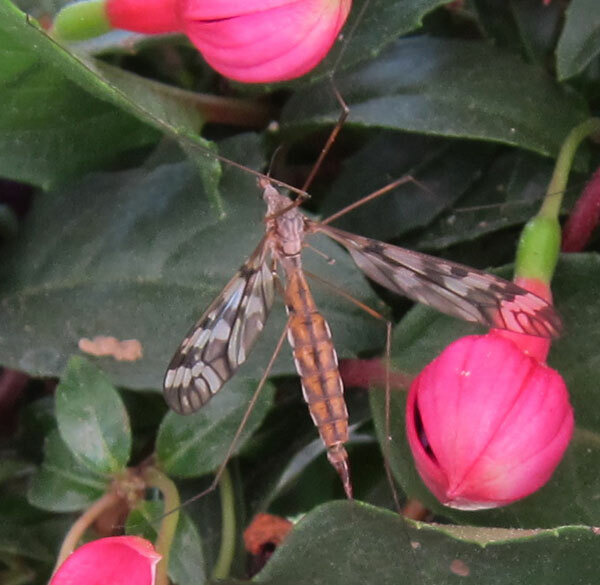 This crane fly was seen in June 2011 on my fuscia plant.